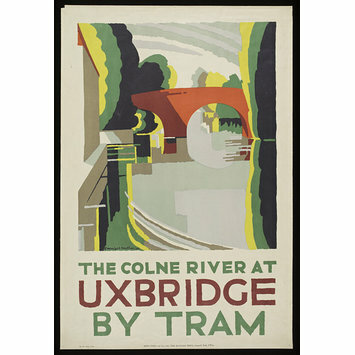 Presented by the Underground Electric Railways Co. of London, Ltd.
Colour lithograph poster promoting use of trams. Signed and dated. 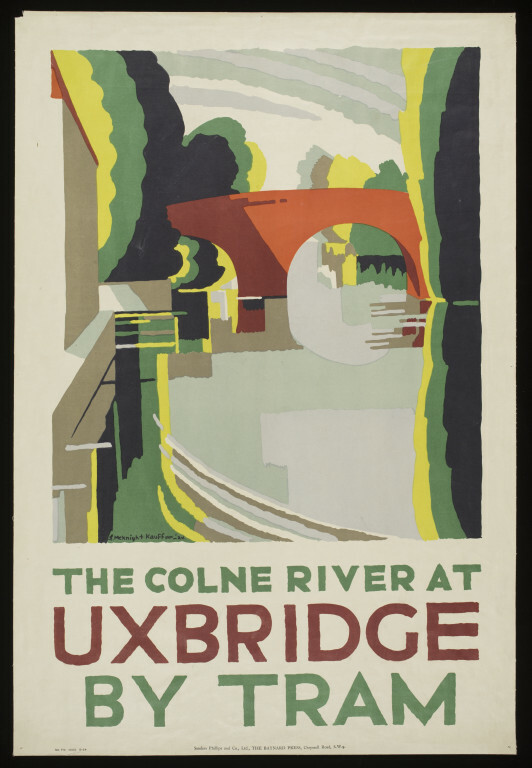 'The Colne River at Uxbridge by Tram'. Colour lithograph poster designed by Edward McKnight Kauffer. Issued by the Underground Electric Railways Co. of London, Ltd., 1924.